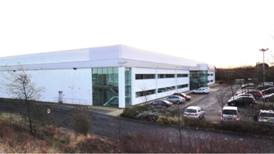 Caisson Investment Management and their JV equity partner Parabola Capital have acquired Enterprise House, on Viking Industrial Estate in Jarrow. The unit comprises c.100,000 sq ft of distribution warehouse space and is let to DST Output (London) Ltd for an unexpired term of c.6.25 years. The transaction represents a net initial yield of c.11.42%. The acquisition forms part of the Joint Venture which is committed to investing c.£70.0m into the UK MLI sector.